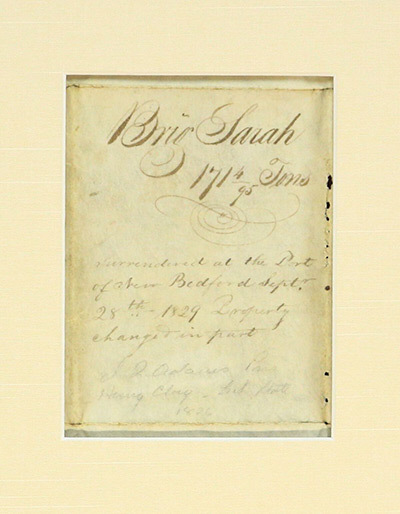 This passport was issued in New York to the brig Sarah, which was under the command of N. Mayhew. There is no information on destination or cargo, but the Sarah carried one gun and a crew of nine men. She appears to be a small trading brig.